The book Ilm-ul-Maishat – Political Economy recounts the past and explains the present and predicts the future. 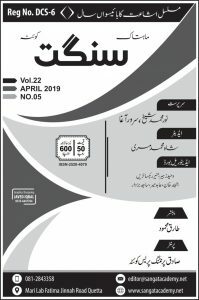 It is one of the many books written on the subject, however, the precise, concise and clarity in the book on a subject of such a wide interest makes it a must read in Urdu language. The book is free from jargons even the scarcely educated can understand it. The writer is a known socialist, references from the writings of Karal Marx and Vladimir Ilyich Ulyanov Lenin are frequently found to explain knowledge on the subject. 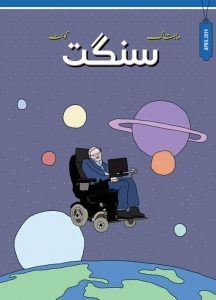 It’s the third publication by Sangat Academy Quetta in 2017 and contains around one hundred pages. The book covers the age of hunters – primitive communism, sheep-herders, agriculturists,commerce, and then industrialization. Political Economy encompasses the policy, ” including individuals, companies, countries, and the entire world systems” as Political Economy shapes life on the whole. In the following is a review of the book with some additional words from the other thinkers on Political Economy to help explain the case in point. Man lost communism, as he disembarked on the earth from caves to domesticate the animals to tend flocks. In addition, carved out a pieces of land to grow corns, so fells into troubles, founds himself vulnerable to disasters wrought by man and nature. There were war likes and the peace makers. It resulted in, the few ruled and the rest were in bondages – slavery. The tribal hordes powerful enough frequently acted aggressively taking hostage to the multitudes. Slavery was forced labor, the slaves had a miserable life, often revolted in disappointment. They were forced to do wondrous works including building the Pyramids in Egypt, Gothic Cathedrals, and Roman Aqueducts. The rulers were law to themselves having right to life and death over the slaves, while they were living at ease on the labour of the slaves. Rights were reserved for the ruling class and responsibilities fell in the lot of working class. Slavery gave way to Feudalism the period of serfdom started under the over lordship of nobles, vassals and lords, a hierarchy under the shadow of religion, came onto the stage to dominate the scene. The king and the church soon entered into a league to control the means of production, the land and labor, the capital and management. The power and influence nexus exploited the working class, serfdom was a more advanced shape of slavery with certain rights to the working class. The gap between the have’s and the have not’s kept them apart, first economically and then socially. The rise of the cities, Rome, Florence, Venice, Geneva, Constantinople, Alexandria, Paris, Marsalis, London, Samarkand and Bukhara caused rise of merchants and craftsman. The artisans and merchants class grew gradually to quench the thrust of the noble and the bishops for sophistication and luxury. The division of labor increased expertise to arouse curiosity, for the finest, either of fortresses or furniture, carpets, crockery and cuisine etc. The wealth studded jewels in the royal crowns, and provided ration for the standing soldiers. Alongside for pastime thorough breed horses were reared, huge plantations laid, gladiators and animal fighting tournaments were conducted. Instead exchanges in commodities iron rods were initially accepted, as a means of currency. Later on, businesses in coins were carried out in the cities. The Princely States collected taxes from the merchandise which invited the wrath of Kings, by demolishing the Prince States. The centralization culminated in empires and nation states. A national market came into existence with much more tax levy. The industrialization with mass production invented the idea to capture the markets beyond the national markets, this was the age of colonization around the world by the Europeans, with the imperial support. The state protected the interests of the land holding princes, wealthy merchants, and knights as only they could voice their views in the galleries of power to influence the political Economy. Marx lived in age of rising Bourgeoisie and the wretchedness of the workers. Friedrich Engels calls attention to the situation of the working class of that period, ”it is utterly indifferent to the English Bourgeois whether his working-man starve out or not, if only he makes money. All the conditions of life are measured by money, and what brings no money is nonsense, unpractical, idealistic bosh.” Marx says ” Because capitalism owns the means of production, and has the cash reserves to out last laborers in negotiations, they can dictate wages and working conditions.” Thus he called the workers around the world to unite, to break chains, to loose nothing. But being aware of the contradictions in Capitalism, Marx foresees ” a class always increasing in numbers, disciplined, united, organized by the very mechanism of the capitalist production itself.” Would do away with Capitalism. ”The expropriators are bound to be expropriated by the working classes.” Class struggle would end exploitation, as it would unite all to stop the wheel. C,R, Aslam rightly observes that annual national budget is a reflection of the priorities of the government, an ideal budget to him is the one which had a big allocation for Education, health and cultural activities, against the thoughts of Adam Smith that state to regulate only, collection of taxes, a proper defense mechanism and a tolerable justice system. The book classifies the productive and non-productive forces and concludes that most of the budget is consumed by the non-productive forces such as the state machinery. Countless people have gone through troubles for easing out the humanity. The means of production determined the course of history, but along side human adventure, romance, observation, war, epidemic, religion, etc have been the other factors too direct the course of history.